SS 310S Tubes, 310S Stainless Steel Pipes, SS UNS S31008 Pipes, ASTM A312 Stainless Steel werkstoff nr. 1.4845 Seamless Pipes & Welded Tubes Supplier & Exporter in India. Neon Alloys are one of the leading exporter & supplier of stainless steel 310S pipe & tubes. Our goal is to fulfill the highest expectations of our customers for delivery and product quality of 310S Stainless Steel Pipes & Tubes. 310S is an austenitic heat resistant alloy with excellent resistance to oxidation under mildly cyclic conditions through 2000ºF. Its high chromium and nickel contents provide comparable corrosion resistance, superior resistance to oxidation and the retention of a larger fraction of room temperature strength than the common austenitic alloys like 304. 310 Stainless Steel Seamless Pipes & Tubes & OCTG, CRA (Corrosion-Resistant Alloy) Seamless Tubes, Stainless Steel , Super Duplex , Duplex , Welded & Seamless, Carbon Steel Seamless Pipes, Tubes, Capillary Pipes & ‘U’ Tubes. These 310S SS Pipes & 310S SS Tubes are used in oil & gas, LNG, Thermal & Nuclear Power Plants, Chemical Industries, Fertilizers Plants, (petro) chemical, shipbuilding, desalination, water treatment, energy industries, EPC and Pipes for General Engineering Purpose. 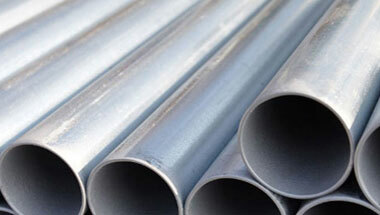 Stainless Steel 310S ERW Pipes, SS 310S Seamless Tubes, Steel 310S Welded Pipes, Stainless Steel 310S EFW Tubes, Stainless ASTM A213 310S Seamless Pipes Manufacturer in India. Democratic Republic of the Congo, Turkey, Uganda, Angola, Thailand (Bangkok), Malaysia, Sri Lanka, Iran, Tunisia, Mozambique, Iraq, UAE, Indonesia, Kuwait, Chine, Nigeria, United States, Ghana, Cameroon, Russia, Australia, Venezuela, Peru, Houston, Ethiopa, Vietnam, Sudan, Italy, Kazakhstan, Dubai, UK, Trinidad and Tobago, Israel, Colombia, London, Canada, Germany, South Africa, Mexico, Jordan, New Zealand, Africa, Algeria, Bahrain, Saudi Arabia, Azerbaijan, Morocco, Brazil, Egypt, Argentina. Data from the UN, Cairo, Conakry, Aqaba, Dubai, Zaria, Addis Ababa, New York, Dakar, Harare, Omdurman, Mbuji-Mayi, Accra, Amman, Singapore, Sharm el-Sheikh, Kolwezi, Maiduguri, Giza, Yaoundé, Kampala, Beirut, Maputo, Kinshasa, Mecca, Benin, Abu Dhabi, Muscat, Subra al-Haymah, Casablanca, Port Elizabeth, Fez, Nairobi, Jeddah, Abidjan, Manama, Bethlehem, Cape Town, Johannesburg, Pretoria, Byblos, Dar es Salaam, Freetown, Lusaka, Doha, Bamako, Bulawayo, Port Harcourt, Alexandria, Rabat, Istanbul, Luanda, Algiers, Hong Kong, Kaduna, Cairo, Tripoli, Tel Aviv, Lubumbashi, Khartoum, Ouagadougou, Colombo, Kano, Douala, Mogadishu, Tehran, Soweto, Lagos, Brazzaville, Durban, Jerusalem, Ibadan, Antananarivo, Dammam, Riyadh.